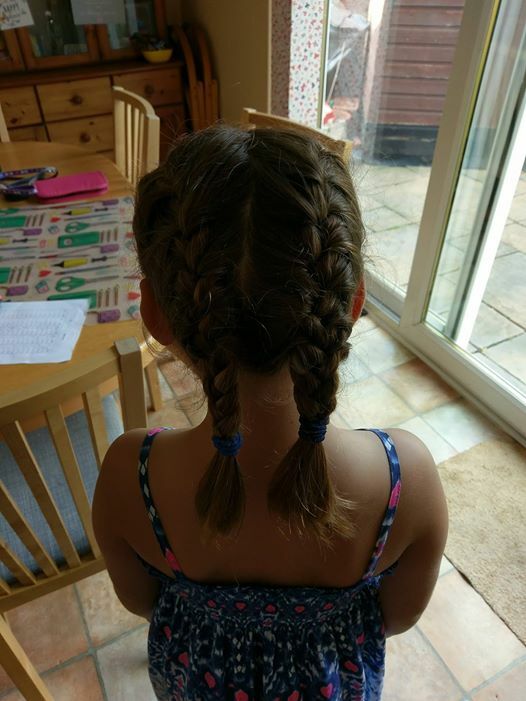 Cassandra is now 8 and I'll be honest in that I've never really been able to do her hair in lovely ways like some of her friends. No longer! 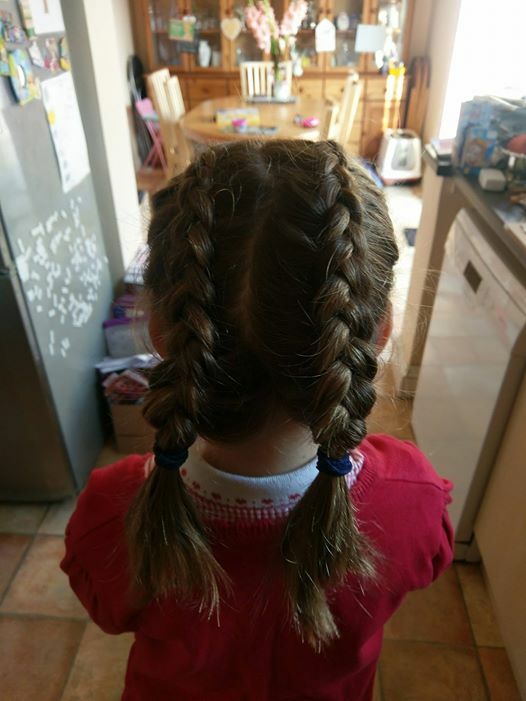 I've enrolled myself on a hair course and so last week and this week Cassie has gone to school with her hair in a French plait and today Dutch braids!